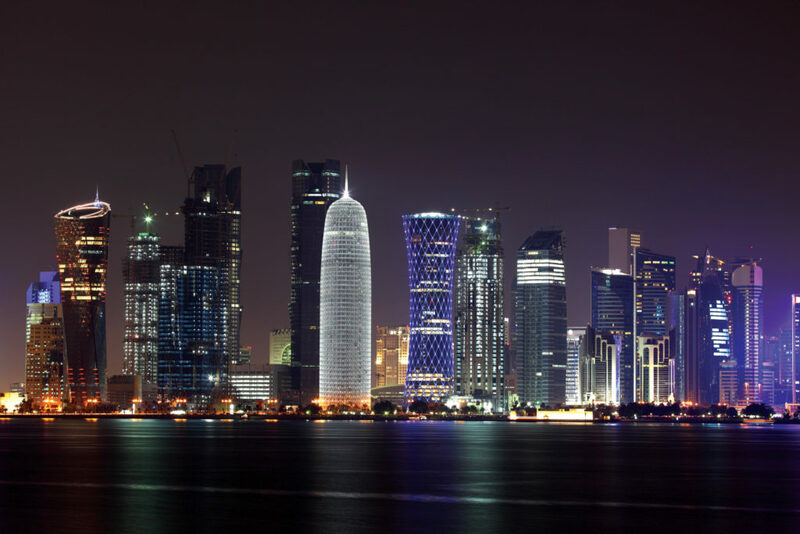 Looking to buy up a fair chunk of the world around it, Qatar has set its sights on Asia and the US as it diversifies the asset base of its mushrooming sovereign wealth fund. The Qatar Investment Authority (QIA), set up in 2005, now holds in excess of $256bn – just shy of a cool million for each of the country’s 278,000 citizens. Qatar’s riches, mostly derived from oil and natural gas exports, buys the tiny nation a virtual reality that adds significantly to its own security. Taking a cue from Kuwait at the far end of the Arabian Gulf, the Qatar government actively directs investments into prime real estate in order to augment the country’s geographical footprint. This form of contingency planning is largely modelled on the surprising resilience displayed by Kuwait after the emirate was invaded by neighbouring Iraq in 1990. The exiled government of Sheikh Jaber Al-Ahmad Al-Sabah, set up in Dhahran, Saudi Arabia, almost effortlessly managed to have its voice heard globally – and safeguard national interests – by leveraging the purchasing power of the country’s formidable financial reserves. Back then, the Kuwaiti government in exile was able to remind much larger powers, up to and including the US, of the dangers of ignoring its plight. A minute peninsular country in one of the world’s more volatile regions, Qatar cannot credibly ensure its own security and must perforce rely on international partnerships for its survival. The country not only works closely with its fellow members within the framework of the Gulf Cooperation Council (GCC), but has also reached out across the Gulf to Iran which it steadfastly refuses to criticise – much to the annoyance of Saudi Arabia and other GCC members. Within the GCC, Qatar is oftentimes considered the odd one out. The country’s diplomats barely try to disguise their attempts at keeping Saudi Arabia’s dominance of the GCC in check. They also prefer to co-opt possible threats instead of fighting them. Qatar’s cosying up to the Muslim Brotherhood and other Islamist movements earned it a stern rebuke from Saudi Arabia, the United Arab Emirates, and Bahrain who – in an unprecedented move – last March withdrew their ambassadors from Doha. However, Qatar’s non-confrontational approach has so far paid off: the country’s royal family has been spared the criticism of Islamist firebrands and enjoys high popularity even amongst those who support, openly or otherwise, the Muslim Brotherhood. Keeping potential enemies close at the expense of its friends has allowed Qatar to concentrate on acquiring a global network of vital interests that may come in handy should the country ever feel the need to cash in its national chips. The Qatar Investment Authority manages massive holdings in industry and real estate around the world. QIA operates in a decidedly low-profile manner, preferring sizeable minority stakes to outright ownership in large-scale projects and businesses. Qatari investors are mostly happy to merely obtain a seat at the corporate table and do not necessarily aim to call the shots. In this vein, QIA now owns 12.7% of Barclays and has a 17% stake in the Volkswagen Group. The authority recently announced that it will double its holdings in Royal Dutch Shell to 7%. QIA and its offshoots now own or participate in most any business endeavour imaginable from the Paris Saint-Germain football club and London’s Canary Wharf to marinas in Spain and petrochemicals plants in Malaysia. While steadily expanding its global interests, the Qatari government is also busy rebranding the nation as a haven of tolerance and quiet efficiency. The Doha-based Al-Jazeera television network – a media empire now eclipsing CNN in size and scope – has proved a valuable asset in furthering Qatar’s national interests. Nominally independent and indeed critical of Middle East governments, Al-Jazeera has awarded the country’s rulers a highly effective tool with which to showcase their country as an oasis of peace and stability. It of course helped that the network downplayed the civil unrest, and the ensuing crackdown, that plagued neighbouring Bahrain in 2011. Still, Al-Jazeera has become a trusted source of news throughout the Arab world thanks to the Qatari authorities’ light touch and their willingness to plot an independent course. The Qatari way – cautious, low-key, headstrong, and focused on the long term – has unexpectedly gained international recognition with the World Economic Forum (WEF) proclaiming the country’s government the world’s most efficient amongst 144 states evaluated. Based on data extracted from the WEF’s annual Global Competitiveness Report, researchers concluded that the Qatari government is peerless when it comes to transparency, policymaking, regulation, entrepreneurial freedom, and sensible spending by the state. The WEF findings are solely grounded in economic performance and as such ignore societal wellness indicators such as freedom of expression and other human rights. While by no means a ruthless dictatorship, Qatar does fall short of a full-fledged democracy as defined by Western standards. The country is, however, a magnet to businesses seeking to maximise operational efficiencies by suffering the bare minimum of state interference. The formula – and plenty of natural gas – made Qatar the richest country in the world with a GDP of $102,000 per capita. WEF lead economist Margareta Drzeniek-Hanouz said that Qatar deserves the top ranking for its government’s dedication to maintaining a stable environment that fosters strong economic growth: “It is a state’s job to provide optimum conditions for national development and our study finds that none are better at this than the government of Qatar. The country scores particularly well on the ease of establishing and conducting business, the observance of property rights, and the absence of corruption.